Two Shows by one comic. 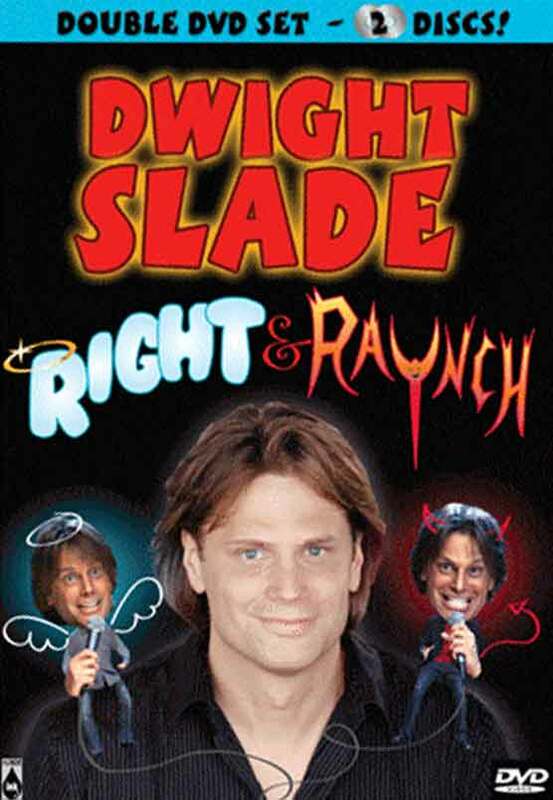 Dwight’s new, 2 disc DVD where Slade explores both halves of the brain. Dwight’s new, 2 disc DVD. You get Two Shows by one comic. Filmed in Hi-Def at the historic Aladdin Theater in Portland, Oregon, Dwight explores both halves of the brain. The first disc, “Right” is TV clean and family friendly followed by the second disc, “Raunch” which is uncensored and fun.